The Ladybird Series is unique from the rest of our sensor home bins range in that the lid resembles a ladybird's wings. 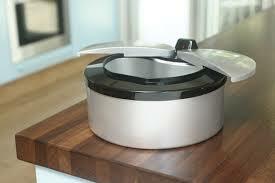 The lid, in two halves, shaped like ladybird's wings, open out sideways as if your bin were about to fly away! If you have limited vertical space above your bin, it's ideal or it may simply be that you prefer this style to a traditional up/down lid. In the Ladybird Series we have a 47L Stainless Steel Kitchen Sensor Bin, a 2L Sensor Bowl that is most commonly purchased as a kitchen worktop bin for used teabags and small food scraps and a 2L Sensor Pet Feeding Bowl. When it comes to our 2L model, you have far more than a sensor bin. It's more accurately described as a bowl than a bin. If not a bin then it can be used for multi-purposes such as a posh bowl for sweets, money, keys, jewellery - the list is endless. 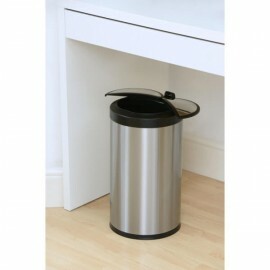 The rest of our Ladybird range is a flat back bin designed to fit flat against a wall. Our Flat back bin models are the 12L and 47L. 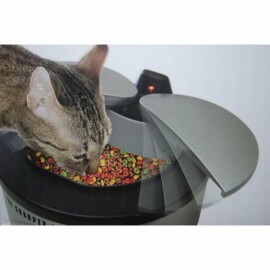 Perfectly sized for you and your pet's daily needs. 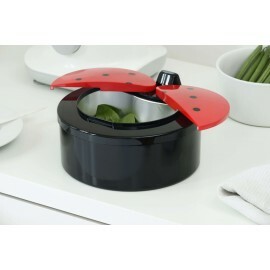 This Ladybird style pet bowl gives you both, style and functionality whilst keeping the food fresh, the flies away and your kitchen clean. It goes perfectly with any decoration!